Limited Period Offer! 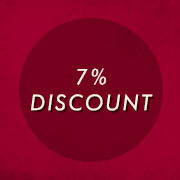 Everyone is a winner with 7% Discount! Avail 7% Discount on Wicked Ticket orders of $200 or more!. Discounted Tickets offer valid from September 29th until October 5th, 2014. Hurry Now and Save 7% on Wicked Tickets. Simply enter code ‘TN7Years’ at checkout to receive 7% Discount on ALL Wicked Ticket Orders of $200 or more. This discount code is Active from now until October 5th at Midnight! Provides Discounted Wicked Musical tickets for the shows of your choice, on your preferred date, in advance, from your home. Buy Wicked Tickets Online, Use Code ‘TN7Years’ for a discount of 7% on $200+ Orders starting from Today until October 5th Midnight! The Broadway touring production of Wicked musical will play at the Saroyan Theater in Fresno from Wednesday April 02 to Sunday April 13, 2014. Tickets are now on sale for the national tour of the hit musical and Selling fast Online. Hurry up to Book your Wicked Fresno CA Tickets 2014. Winner of 35 major awards, including a Grammy and three Tony Awards, Wicked is Broadway’s biggest blockbuster, a cultural phenomenon and was just named “the defining musical of the decade” by The New York Times. Back by “Popular” demand! Entertainment Weekly calls Wicked “the best musical of the decade”. Wicked musical on National tour is scheduled to run for a limited three-week run in Hartford CT from November 05 to 23, 2014. Wicked Mortensen Hall Bushnell Theatre Tickets are on sale NOW. Back by “Popular” demand! Winner of over 50 major awards, including a Grammy and three Tony Awards, WICKED is “Broadway’s biggest blockbuster” (The New York Times). Long before that girl from Kansas arrives in Munchkinland, two girls meet in the land of Oz. One – born with emerald green skin – is smart, fiery and misunderstood. The other is beautiful, ambitious and very popular. How these two grow to become the Wicked Witch of the West and Glinda the Good makes for ”the most complete – and completely satisfying – musical in a long time” (USA Today). Buy Wicked Hartford CT Tickets Online! The ticket sales for the Wicked Hartford CT shows remain very strong. Wicked musical run through November 23, 2014 at Mortensen Hall Bushnell Theatre. Buy Wicked Hartford Tickets Online. Wicked musical will be returning to Cincinnati next week. Wicked musical will play at Procter & Gamble Hall (Aronoff Center) (650 Walnut St, Cincinnati, OH 45202) from March 05 to March 23, 2014. Wicked Cincinnati OH Tickets are Selling Fast Online, Hurry to get your’s now. Buy Wicked Procter & Gamble Hall Tickets NOW! 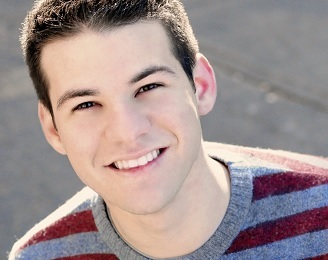 Wicked, by Stephen Schwartz and Winnie Holzman, is based on the novel by Gregory Maguire. Wicked tells the story of their remarkable odyssey, how these two unlikely friends grow to become the Wicked Witch of the West and Glinda the Good. Wicked is the untold story of the witches of Oz. Long before Dorothy drops in, two other girls meet in the land of Oz. One, born with emerald-green skin, is smart, fiery and misunderstood. The other is beautiful, ambitious and very popular. Wicked Cincinnati OH Tickets are on sale now Online for the return engagement which runs from March 05 to 23, 2014. Secure your Wicked Procter & Gamble Hall (Aronoff Center) Tickets in Advance for better seats at the best price online. The San Diego Broadway season 2014-15 includes the Broadway’s biggest blockbuster during the fall 2014. Wicked will be performing at San Diego Civic Theatre for almost a month from November 12 to December 07, 2014. Wicked last visited San Diego CA in 2012. Buy Wicked San Diego CA Tickets NOW! This will be the fourth Wicked Musical visit to San Diego. Wicked San Diego Civic Theatre Tickets are on sale now Online for the return engagement which runs from November 12 to December 07, 2014. Hurry to Secure your Wicked San Diego CA Tickets as they are selling fast online. Wicked musical will return to Sacramento CA as a part of the Broadway Sacramento series. Wicked will perform at Sacramento Community Center Theater for only three weeks from May 28 to June 15, 2014. Buy Wicked Sacramento CA Tickets NOW! Wicked Sacramento CA Tickets are on sale now Online for the return engagement which runs from May 28 to June 15, 2014. Secure your Wicked Sacramento Community Center Theater Tickets in Advance for better seats at the best price online.